A group planning a 1.5 billion dollar nitrogen fertilizer plant is in the process of buying a site. 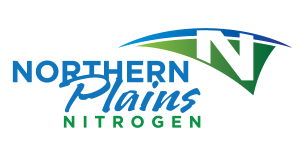 Northern Plains Nitrogen CEO Don Pottinger says the company is buying land next to Grand Forks’ municipal sewage lagoons. There is a reason that the company wants to build so close to those sewage lagoons. They plan to use that water. The plant will be built adjacent to those lagoons, which are just north of Gateway Drive and 69th Street. 320 acres there includes a natural gas line, rail service, a major highway, and water from the lagoons. The water can be filtered to use for its production of farm fertilizer. Local Economic Development officials say it will bring jobs and much more. *Article originally published on WDAZ.com, August 28, 2013. Click here to view full article.